Looking for a hotel in São Bernardo do Campo? The Aparthotel Adagio São Bernardo do Campo offers modern apartments equipped with a kitchen, fridge, microwave and induction hob, everything you need to feel at home. There are also laundry facilities, a fitn ess center, restaurant for breakfast and WIFI. Small pets are welcome. 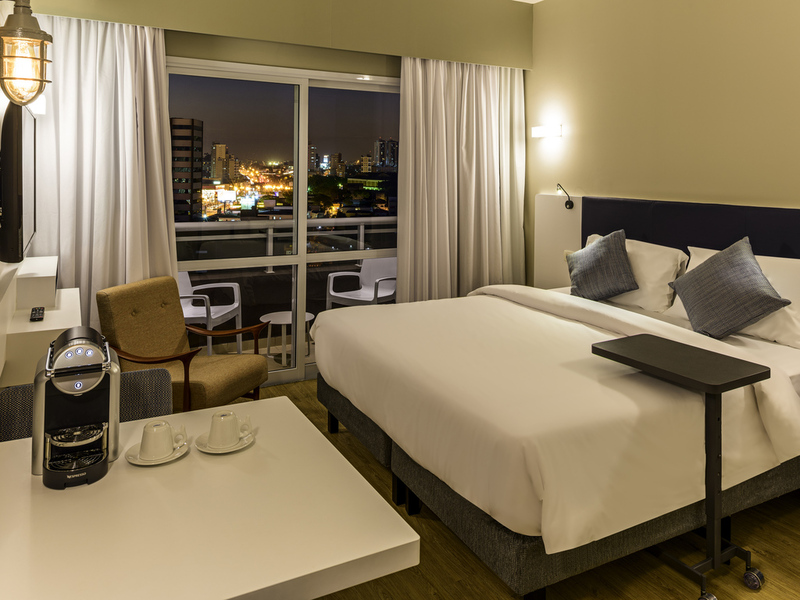 The aparthotel is located opposite the Shopping Metrópole mall and close to the Pavilhão Vera Cruz, where the Feira do Circuito das Malhas (São Paolo winter fashion fair) takes place. Located in the center of São Bernardo, next to Pavilhão Vera Cruz, 20 minutes from São Paulo Expo, near exit 18 of the Anchieta highway and major manufacturers and metalworkers in the ABC region, and minutes from the SBC multisport fitness center. Delicious breakfast served from 6am to 10am. Opposite the Metrópole shopping center and 20 minutes from the São Paulo Expo center. Near exit 18 on the Rodovia Anchieta highway. We are pet friendly! 1 small pet (weighing up to 33 lbs) is allowed in the apartment. Lunch and dinner are served in the ibis hotel next to the Aparthotel Adagio. We also have a 24-hour bar with Happy Hour every Thursday from 7pm and feijoada with live samba on Saturdays!